PURCHASE VIDEOS 1,2,3 & THE PDF IN THIS SERIES AT A DISCOUNT HERE! 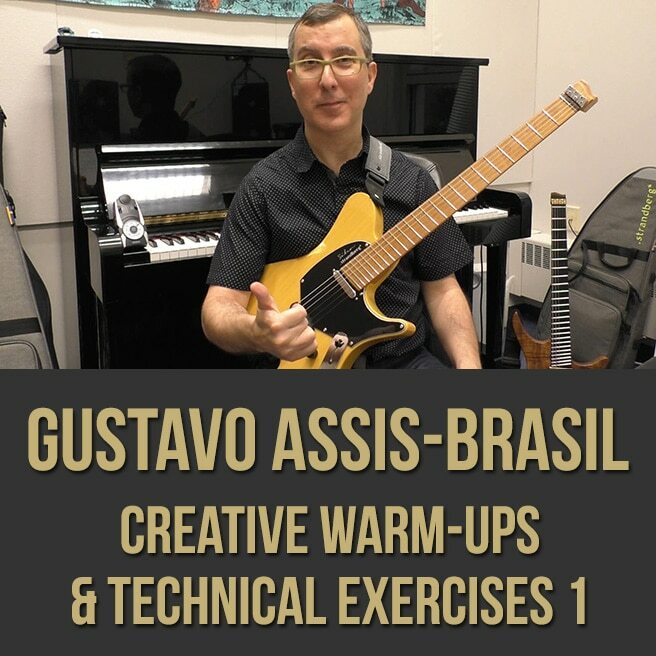 Description: In part one (1 of 3) of this "Creative Warm-Ups and Technical Exercises" guitar masterclass series, acclaimed guitarist, educator and author Gustavo Assis-Brasil shows you how to improve your technique while making music. 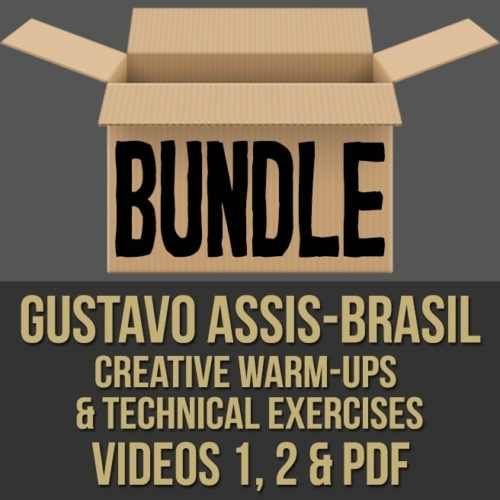 Gustavo brings you through a series of drills that will strengthen both of your hands as well as add to your vocabulary. If you're looking to work on your guitar technique in a musical way, this guitar masterclass series is for you. NOTE: There is an optional PDF which includes the embedded notation seen in all 3 videos from this series. It is included in the DISCOUNTED BUNDLE AVAILABLE HERE or it can be purchased separately. 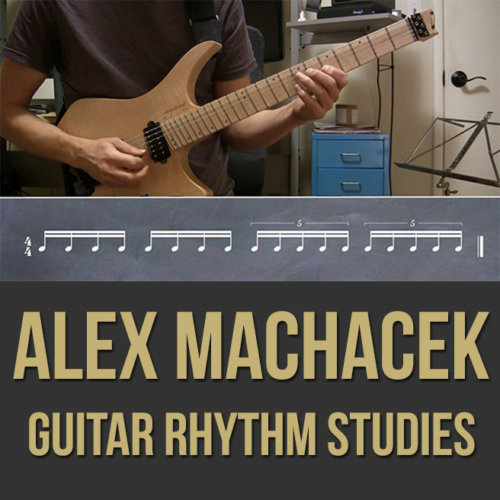 Topics Covered: Guitar, warm-ups, technique, alternate picking, sweep picking, hybrid picking, legato technique, left hand, right hand, musical exercises, changing directions, technical loops, warm up lines, etc. Gustavo is the director of the Jazz and Contemporary Music Ensembles and is a faculty member of the Cambridge School of Weston. 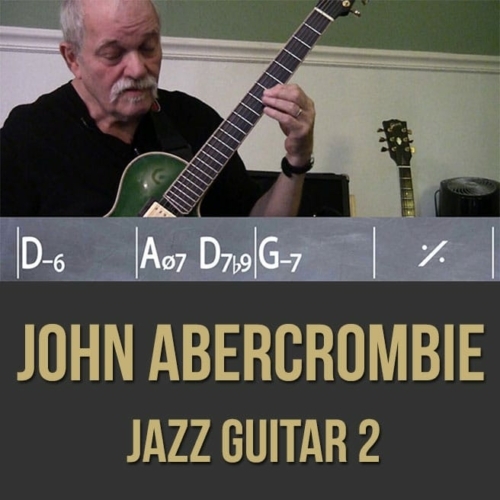 He also teaches at Berklee College of Music’s Guitar Sessions since 2006. Also as a teacher, Gustavo taught clinics at Guitar Institute of Technology / Musicians Institute (GIT – MI), Los Angeles, CA; University of Southern California (USC) , Los Angeles, CA; Berklee College of Music, Boston, MA; Federal University of Rio Grande do Sul (UFRGS), Brazil; Federal University of Santa Maria (UFSM), Brazil; University of Passo Fundo (UPF), Brazil. 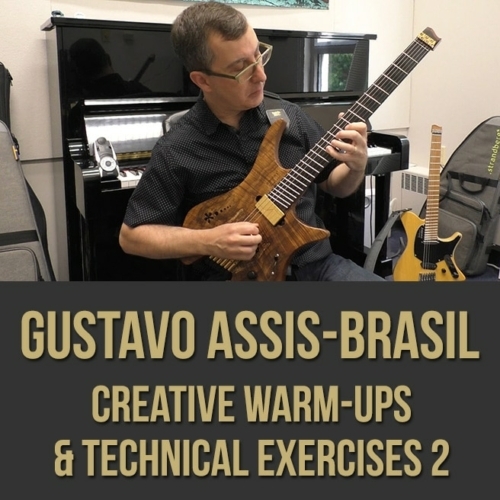 In 2005, Gustavo released the book “Hybrid Picking for Guitar”. 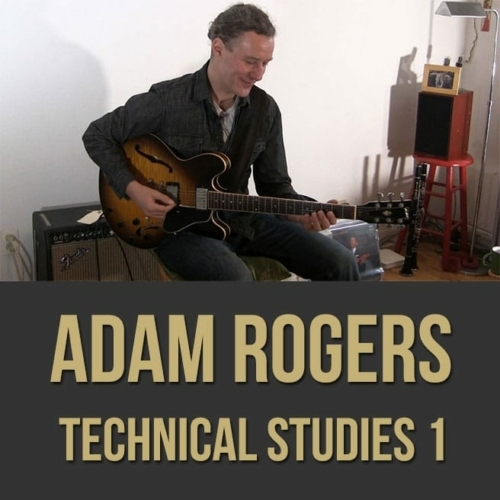 This book is the first method entirely dedicated to the art of combining pick and fingers to play the guitar. The book is in its 3rd edition and it has been receiving praise worldwide. 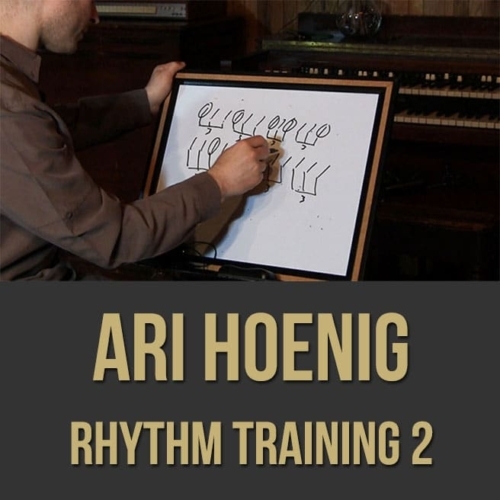 In 2008, he released the follow up book “Hybrid Picking Exercises: Single Note Permutations”, with more than 1,400 different exercises based entirely on math permutations. Also in 2008, Gustavo released a live DVD/CD combo called “In Concert” where he features original compositions. On that same year, he was invited by ESC Records (Germany) to write and record an arrangement of Steely Dan’s “Aja”, to be part of a tribute CD called “Maestros of Cool”. The CD was released in USA and Europe. 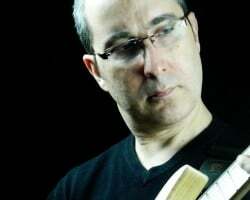 In 2009, Gustavo was invited to participate in the project “Mahavishnu Re-Defined – a Tribute to John Mclaughlin & the Mahavishnu Orchestra” along with other important jazz artists. In 2010 was featured as the soundtrack composer for the feature Brazilian movie “Manhã Tranfigurada”. The movie is also available on DVD with his full soundtrack, which is also being released at the same time. 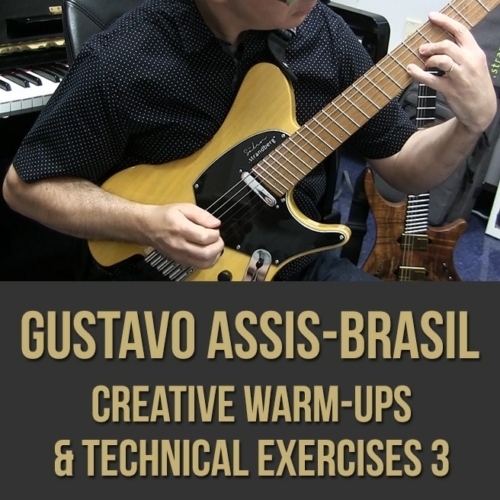 In 2011, Gustavo released his third book, “Hybrid Picking Lines and Licks”. Guthrie Govan wrote the foreword for it. 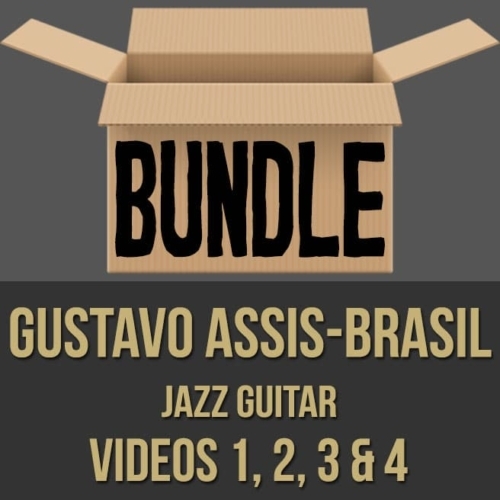 Gustavo performed/recorded with John Stowell, Esperanza Spaulding, Frank Potenza, Bob Mintzer, Richard Smith, Hiromi, Tony Grey (John Mclaughlin), Prasanna, Julio “Chumbinho Herrlein, Richard Bona, Greg Hopkins, Brett Wilmott, Mauricio Zottarelli, Tim Ries (Rolling Stones, Steve Wonder), Nelson Faria, José Pienasola (Elis Regina, Chico Buarque, Leny Andrade), Prasanna, Marina Elali, Hiroaki Honshuku, Dough Johnson, Zuzo Moussauer, Frank Solari, among others.